Much to my son’s delight I’ve been invited to lunch at the home of daredevil X-Games and freestyle motorcycle rider Jackson Strong, but the international superstar is not the purpose of my visit. I am here to catch up with Mandy Strong, Jackson’s quietly spoken mother and co-owner of Sunshine Iris Nursery. Driving on to the Strong’s 20,000 acre cereal cropping farm near Lockhart in the Riverina district of New South Wales, I immediately spot two distinct differences to every other farming property I’ve visited. First and foremost, there is Jackson’s elaborate training track, adjacent to which there is a fenced paddock of flowering irises of all colours and descriptions. Quite by accident I’ve timed my visit in October, right in the middle of flowering season! While she has always been a part of the family farming enterprise – and the ‘number two header driver’ until their eldest son Toby was old enough to take over – Mandy’s main profession was teaching. It was in 2013, around the time of her retirement, that her daughter Elissa spotted a nearby iris business for sale. With Elissa’s agronomist training and Mandy’s love of gardening it seemed like a good opportunity. ‘Let’s do this,’ Elissa told her mother. So they did. It is at this point that I am embarrassed to admit my lack of gardening knowledge so Mandy sets me straight. It turns out that there are over 600 varieties of irises which are drought resistant, disease free and multiply each year. Perfect for Australian gardens which is why Sunshine Irises has sales to every state and territory. Walking through the allotment I see firsthand how many different colours and sizes there are which makes it a collector’s paradise and brings them many repeat customers. Mandy pulls out her smart phone and opens up the Shopify App that they use in their online business. Even though they advertise that they cannot process orders between September and November during the flowering season, there are already 108 orders logged and awaiting delivery. Each order is clearly identified by a photo of the iris being purchased and each iris in the allotment is carefully labelled making the selections easy. ‘Basically we pick, pack and post,’ Mandy explains. ‘Shopify is perfect for this type of business and prints all the reports we need.’ Prepaid bags are purchased and posted through their local post office in Lockhart. 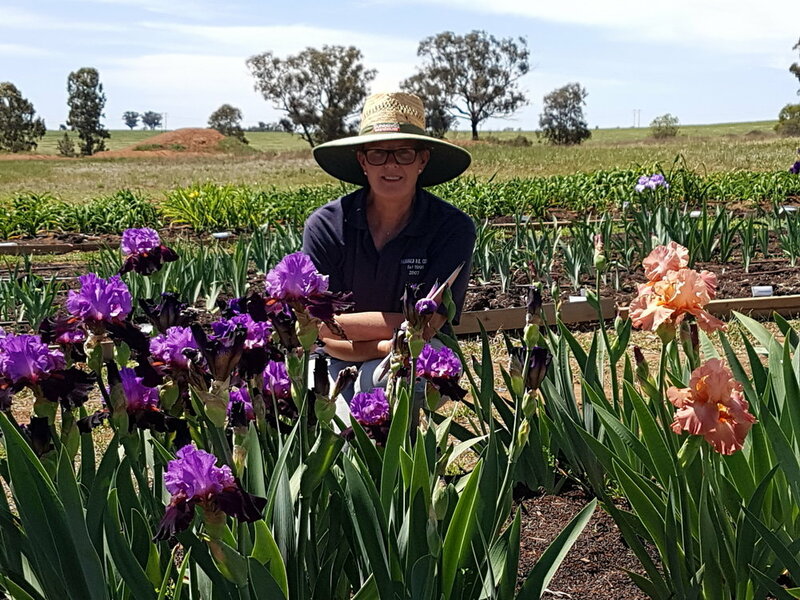 Two years into the business and the daughter-mother duo purchased another iris collection, this time from Yarrawonga, adding significantly to their stock. They also introduced eighty varieties of Daylilies. The business was significantly growing. 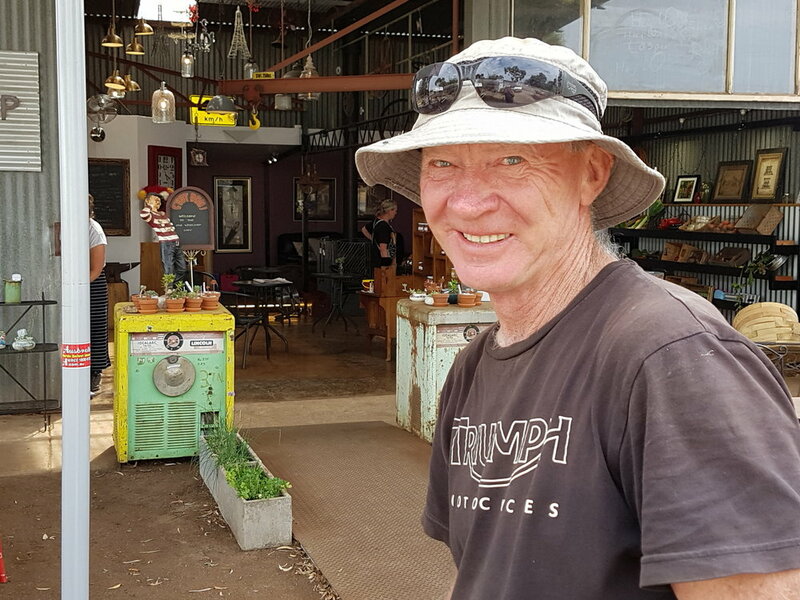 While the actual bulb of the irises and lilies are the main product, the blooms are also sold during flowering season at a market in Wagga Wagga. In 2017, when Elissa returned to study and found it impossible to actively contribute, Mandy took on the business but not without support. She approached her twin sister Margie, who resides in Canberra, and invited her to become the new partner. ‘I do all the physical stuff and Margie does the books, blogs for our website, social media, and behind the scenes stuff,’ says Mandy. They also have an employee – conveniently Mandy’s next-door neighbour – who comes and helps pack every Monday. University students assist with weeding on a seasonal basis. And sometimes things just go in your favour when you are surrounded by equally motivated business people albeit for very different purposes. Mandy reports that water for the irises is plentiful, as Jackson’s new training track required extra dirt to be excavated from the dam providing it with a far greater storage capacity. An aerial video of the iris allotment for the Facebook page also came courtesy of her son’s drone. Apart from when the business has the occasional Open Day during the flowering season it is a very solitary business but, well used to rural life, Mandy appears to relish it. 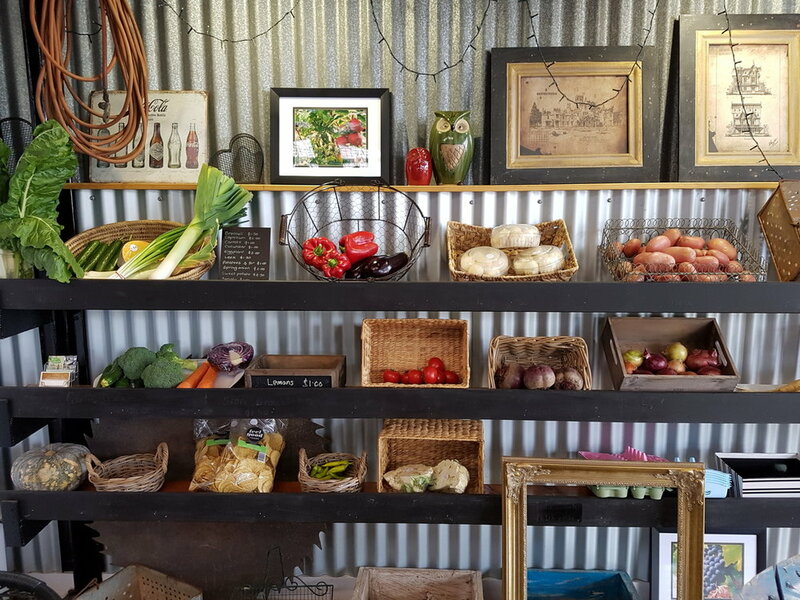 The internet has opened up sales well beyond her patch of rural bliss and she remains active in her local community of Lockhart. 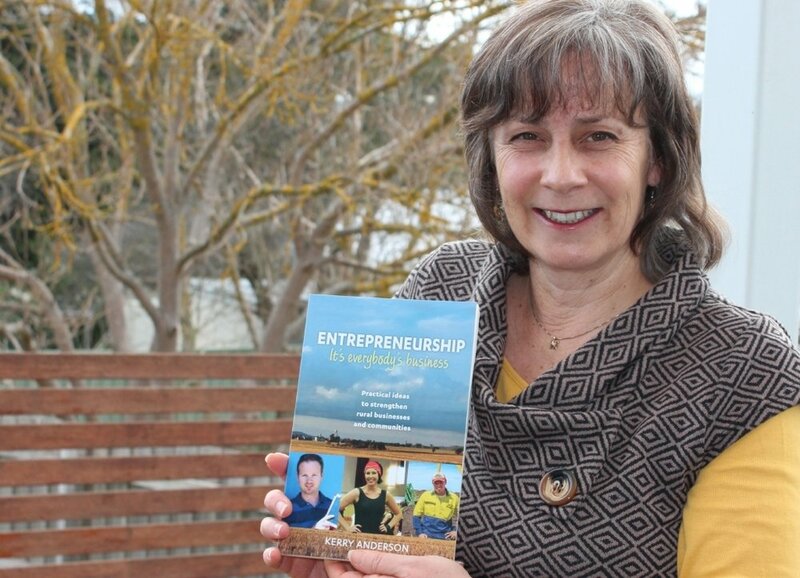 Showing a hint of why her son Jackson has become known as an innovator in the sporting world, Mandy believes that anyone can do well in business if they think outside the square and develop something that suits their interests and skills set. ‘I’ve always been a gardener and love growing things,’ she says. Best of all the business also allows her to make an income independent of the farm, which apparently surprised a few people along the way. Take the time to talk to your customers even those not tech savvy. Take a chance - and work hard when you do! Enjoy what you are doing and it doesn't become a chore. 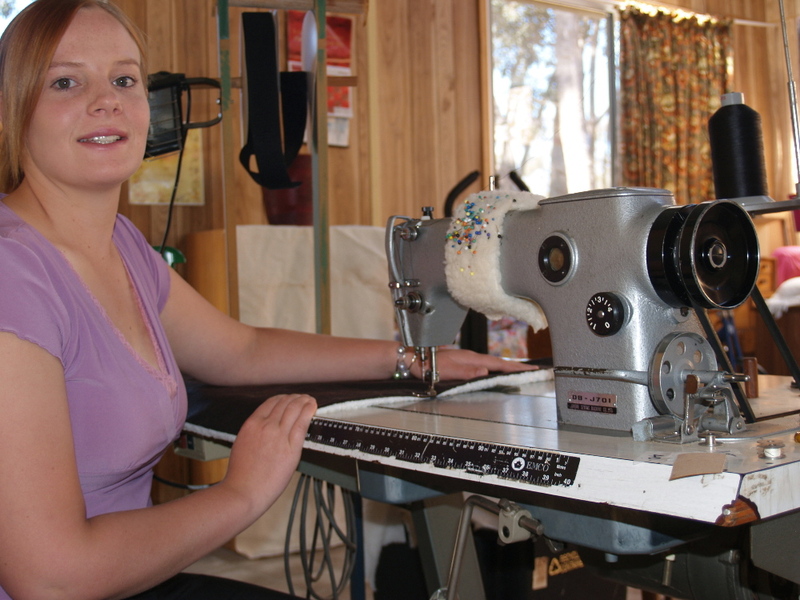 At the young age of 19 Elise Brown purchased Fair Dinkum Dog Coats and has adapted the business to suit her lifestyle as she's become a mother to two daughters. 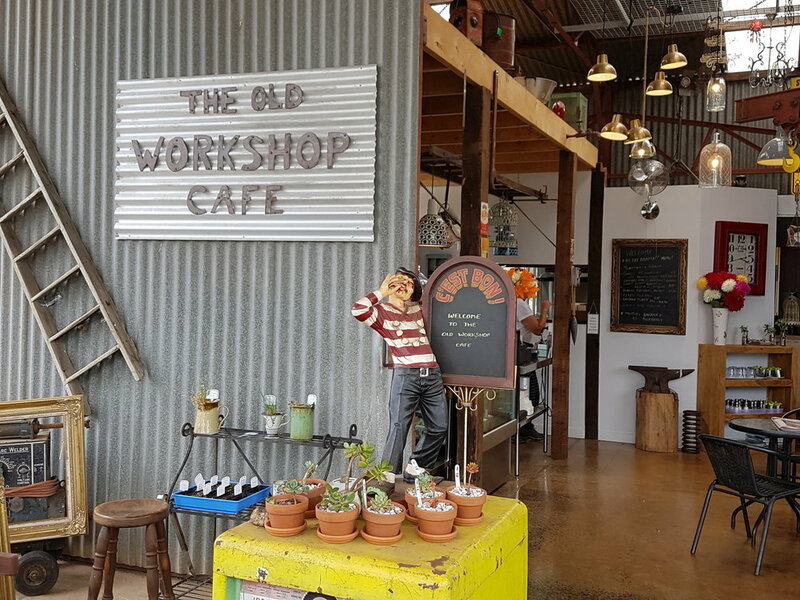 With ‘Shop Local’ campaigns becoming popular, it is important to be reminded that many online businesses also successfully operate from rural towns. Whether a shop front or online business, Elise Brown of Fair Dinkum Dog Coats in Central Victoria is just one great example of why we need to articulate the story of our business, so customers can understand who they are supporting. Labelled a ‘social butterfly’ by her parents and teachers, Elise Brown cruised through her school years without any accolades. However, when her family looks back on her childhood, the signs of an entrepreneur in the making were clearly evident. Always curious, Elise asked lots of questions, and was quick to recognise an opportunity. As a teenager with a strong self-belief she proved herself more than capable of creating her own income. She trained young and difficult horses and sold them on to good homes for a healthy profit. Every day is an opportunity to learn according to Elise, and significantly her best learning has been outside the education system. While her friends went on to university, she started working in the equine industry, learning on the job, and continuing to ask lots of questions of everyone she met along the way. Aged nineteen she was supported by her family to purchase a small part time business, Fair Dinkum Dog Coats, to complement her part time work. Within six months Elise was so busy she had to leave her paid job. A year later, she was once again supported by her family to purchase a second business, Midland Stock & Poultry Store in Castlemaine, as a local retail outlet for her dog coats. Over a five-year period as a retailer, Elise learnt many valuable skills including employing staff and balancing stock with cash flow. She also learnt to handle the occasional difficult customer who tried to bully a young person for their own benefit. Life got a bit more complex when a husband entered the scene and their first child was on the way. ‘Fair Dinkum Dog Coats started off as a nice part time business supplying wholesale customers, primarily pet shops, right across Australia,’ Elise explains. ‘But no matter how hard I worked in advance I couldn’t avoid the winter rush and found myself working long hours. It wasn’t fun any more,’ she admits. Selling the retail store helped alleviated the problem but she still had to find a way to manage the workload for manufacturing the coats. It was at that point that Elise had a light-bulb moment demonstrating a confidence in her own problem-solving abilities. Cutting off a stable source of income, investing in website development, and learning to manage new technology was a brave move that has fortunately paid off for Elise. By constantly sharing the story of her business and products via social media she has also effectively engaged with customers and avoided costly advertising. Recognising a growing number of greyhounds and whippets becoming domestic pets, she has also designed a new range to suit their unique shape and this has become a significant proportion of her sales. Remarkably, despite working less hours and selling less coats, Elise has tripled her income with the profits coming direct to her instead of being shared with wholesalers. And, most importantly as a young mother, Elise has also been able to dedicate herself to her two daughters aged three and five. With the business ticking along nicely in the background, Elise is now preparing for when both girls are at school. This year she is excited to be building a new work space ready to ramp up the business to a new level by tapping more into the international market and year-round sales. Balancing work with family is important to Elise, as is maintaining Fair Dinkum’s brand and reputation. At the urging of industry advisers, she has explored outsourcing production and exporting options, but keeps coming back to what is important to her; supplying a quality product to her customers. With many customers happy to share testimonials Elise says it is also important for the wider community to be educated. Elise understands the value of explaining who she is and what she stands for. Being nominated for and winning a Rural Community & Achievement Award in 2010 also gave her a platform to talk about the importance of young people being encouraged to become business owners. Much to Elise’s amazement, she was invited to meet with Queen Elizabeth at Government House in Melbourne during her 2011 visit. A girlfriend provided a quick makeover, but the ever practical Elise drew the line at changing her rubber soled work boots which were perfect for walking from Southern Cross Station to Government House. By sharing Fair Dinkum stories, Elise’s customers know exactly who is making their dog coat when they place an order, and chances are that it will be posted by two small and very willing helpers who have the privilege of a rural lifestyle thanks to their enterprising mother. Create a business that supports your family and lifestyle but understand that it’s only worth keeping if its profitable. Invest in yourself to keep improving your business. Utilise the power of social media to avoid costly advertising. DISCLOSURE: As many of you may already know, Elise is my daughter. I’m rather amazed that it has taken me this long to feature her in my 85th blog! 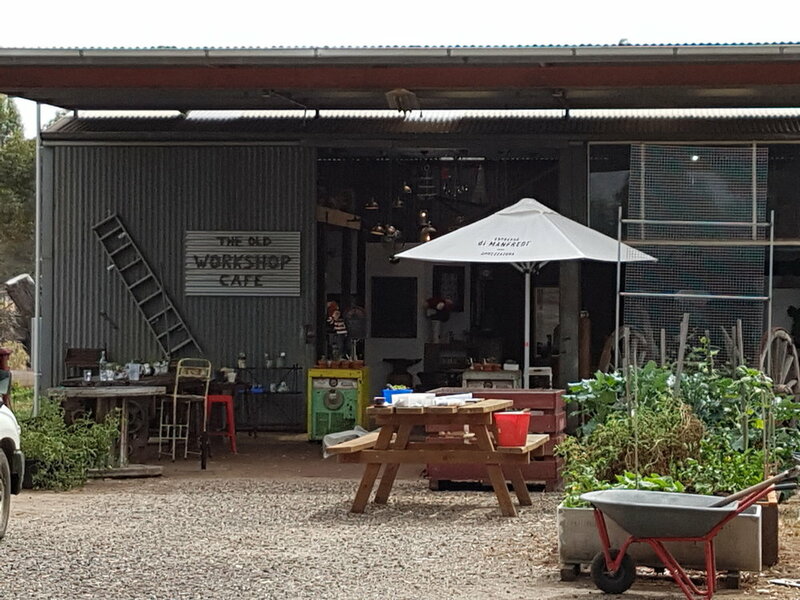 'Never take no for an answer' advises Jenni Finn who has established the highly successful Factory & Field homewares store in Cohuna, Victoria. 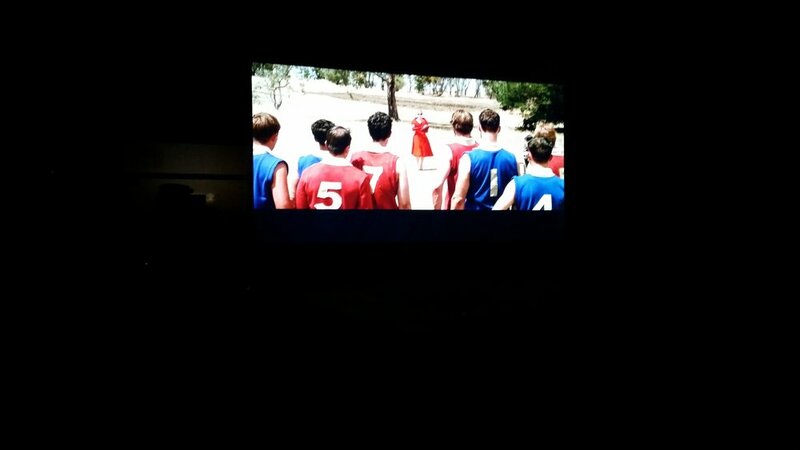 VIEWING The Dressmaker for the second time last night (on this special occasion under the stars in outback Queensland) I had the opportunity to reflect on what lessons could be learned from this now iconic Australian movie. Earlier in the day, author, Rosalie Ham, explained to delegates at the Isolated Children’s Parents’ Association meeting in Alpha how she joined a literary course at TAFE and was instructed to write a story and go through the motions of publishing it. Drawing on her somewhat skewed childhood memories of growing up in a town of 800 people with a seamstress mother, Rosalie inserted a murder, a cross dresser, a fiercely fought football game, hate, envy, and the obligatory love story into the story line. The Dressmaker was the end result. Not only did it get published, it was made into a movie! When I first went to see the film it was for a number of different reasons. It was Australian and filmed in rural Victoria near where I live, plus it featured a small rural town in the story line, albeit fictional. Most of all, it was because my mother, raised on a farm in Gippsland, was trained as a dressmaker. We went to the movie together, along with my daughter who has also inherited her grandmother’s skills. As an advocate for rural Australia I have to say that the depiction of Dungatar as a small town and the grating idiosyncrasies of its inhabitants in The Dressmaker was hardly ideal but of course we can’t be too precious about that. We all understand the need for drama and humour to entertain. What I clearly saw of value in the movie, however, was a young woman able to be innovative and to create her own income in a rural town as did her mother before her. Up until we left home as young adults my mother made all of our clothes. Often I was stopped by complete strangers and asked what brand my dress was. Leaving school and starting work in an office I had the snappiest wardrobe you could ever hope to have. I never thought anything of it at the time other than it was an obvious cost saving for a rural family struggling to raise four children, pay off a mortgage, and establish an earthmoving business. I felt very smart in my red pantsuit made by my very talented dressmaker mother. Mum’s skills as a dressmaker also enabled her to create a small income to support the family budget. Many a fitting for a wedding dress took place in our home with mum threatening blue murder if we dared to go near the precious folds of white material. Like Rosalie we heard all the behind the scenes dramas of the nervous brides. While I pursued a totally different career path, my daughter demonstrated hands on skills at an early age. For her twelfth birthday we gave her a second hand sewing machine to make saddle blankets for her horses. After completing secondary college she purchased a small business named Fair Dinkum Dog Coats and began manufacturing oilskin dog coats with industrial sewing machines in her grandmother’s sewing shed. It really was lovely to see grandmother and grand-daughter working together on orders to go Australia wide and overseas. Mum has since retired but it won’t be long before the next generation, my daughter’s daughters, may be able to participate. So, the moral of this story is that, whatever your skill, it can provide you with the capacity to work and live wherever you want including in rural towns. That's what I took away from The Dressmaker. And, as Rosalie told us in Alpha, rural kids are innovative, progressive and modern. They can do ANYTHING!